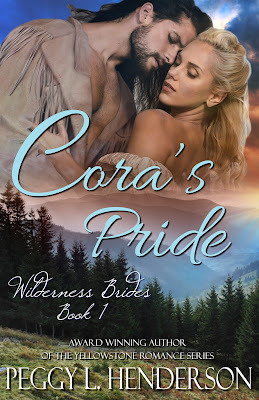 Today is the official Release Day for CORA'S PRIDE (Wilderness Brides, Book 1), although some fans found it early on Amazon yesterday! I'm very excited to announce that in-between writing YELLOWSTONE LEGACY (Book 7 in the Yellowstone Romance Series), I've also been working on a new series. The idea just came to me one day, and I had to run with it. So, today, I'm happy to announce that Book 1 in the new WILDERNESS BRIDES SERIES, titled CORA'S PRIDE, will be available at all major e-book outlets on March 17, 2016! Cora Miller straightened after dipping a rag in the pail of water at her feet. She wrung out the excess and held the cool cloth to her face. Despite the early morning chill in the air, her cheeks were flushed. Strands of her hair that had come loose from her braid whipped around her head and her skirts fluttered at her ankles with the relentless breeze. She glanced around camp, then faced Anna. Her hand wrapped tightly around the cloth as anger welled up in her, envisioning Ted’s throat between her fingers. “Well, when’s he coming back? The wagon train is set to head out tomorrow,” Anna sputtered. Her eyes widened in disbelief. Cora laughed again to cover the turmoil inside her. For the sake of her sisters and brother, and Anna, she had to remain calm. She was the oldest among her siblings, and they all depended on her. It wouldn’t do to let them see her fears. Anna’s head moved slowly from side to side. She cleared her throat in response to the crack in her voice. A chill raced down her spine. She’d put her trust in a man who’d been no more than a stranger. He’d taken complete advantage of her. Anna’s eyes widened even more. She shot a hasty glance all around, no doubt to see if anyone had overheard. The Schmidt’s wagon next to them was quiet. Normally, their three children would be running around by now, but apparently they were taking advantage of their last day of rest before the wagon train headed across the Platte to continue their journey west. Marybeth Schmidt had gone to the river to do some early-morning laundry. Panic seeped into Anna’s eyes. “How are we going to get to Oregon without your husband? We’ll have to turn back.” Her lips trembled. Her dreams of making a better life for her siblings were not going to end this way, stranded in the middle of nowhere. They’d all worked their farm without the help of a man before. They could get to Oregon without a man, too. Cora gritted her teeth. Truth be told, the wagon master would most likely do just that. He’d been reluctant already, ‘letting all these women without husbands join the train’, as he’d put it. Ted had been her answer to get on the wagon train in Independence. He’d been handsome and charming, and he’d proposed marriage to her two days before the train set off for the Oregon Territory. 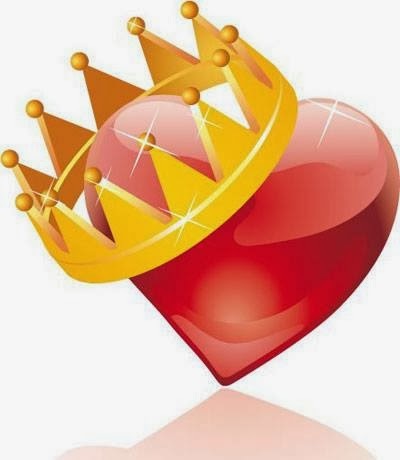 Cora had agreed to the hasty wedding because there had been no other recourse. The wagon master had been adamant that no unmarried women were allowed on the train. Ted had been able to talk him into letting her sisters come along, since he’d taken over as the head of the family. “For as long as I live, I will never trust another man,” she said between clenched teeth. She would have never married Ted if she hadn’t needed him to get to Oregon. Anna had lived with Cora's family since her parents had died years ago, and she was practically a sister. It wasn’t much of a lie when she'd told everyone Anna was part of her family. Anna wrung her hands in front of her. No doubt, the thought that she would have to marry a stranger didn’t appeal to her, either. With those words, she swept her unruly strands of hair out of her face and pushed aside her apprehension at meeting with the wagon master, then set out to find him. He sat, sipping coffee at the other end of camp. His booted foot was propped on a crate, his arm casually draped over his knee. He stopped talking with Mr. Melvin when she approached. “May I have a word with you, Mr. Brown?” Cora raised her chin, clasping her hands in front of her to conceal their slight tremble. Her heart pounded in her chest, but she wasn’t going to show this man that she was nervous about this meeting. A slow smile spread across the wagon master’s lips. He raised his coffee cup to his mouth and took a leisurely drink. He glanced at Mr. Melvin before looking her in the eye. Cora gritted her teeth. According to what Ted had told her an hour ago, she was as much Mrs. Miller as the wagon master in front of her. She’d use her maiden name again, once they were in Oregon. For now, it would do more harm than good to admit the marriage had been a sham. Mr. Brown raised his brows. He swallowed some more coffee, then stood straight. “Your husband left, you mean?” It was more of a statement than a question. He laughed, first slowly, which quickly became louder. “I don’t understand the humor in this,” Cora huffed, glaring at the wagon master. He was not going to intimidate her. Cora raised her chin. She fought the impulse to move back to put some distance between herself and this man, but she stood her ground. If she didn’t stand up to him, how could she hope to fend off the single men in their wagon company? She pushed aside bitter memories of her home in Ohio, and part of the reason she’d chosen to head to Oregon. She glared at the man in front of her. Cora’s hand tightened into a fist. Her fingers itched to slap the leer from the man’s face. She stepped away from him. “How dare you even suggest such a thing,” she hissed. Mr. Brown handed his coffee mug to Mr. Melvin, who stood by with wide eyes, then tipped his hat to her and strode off. Cora stared after him. “The nerve of that man,” she grumbled. Some choice swear words came to mind for men like him, but she held them in. Without a glance at Mr. Melvin, she stomped back to camp. You can do this on your own, Cora. You relied on yourself back home, and you can do it here, too. Patrick, the youngest of her siblings at eight years old, and the only boy, crawled out from under the wagon, rubbing at his eyes. He yawned, and stretched his hands in the air. Bacon sizzled in the frying pan over the fire while Anna whisked together a batter of biscuit dough. “Gather your dirty clothes after you tend to the mules and the horse, Patrick.” Cora poured a cup of coffee. She usually didn’t drink the bitter brew, but she wasn’t going to let it go to waste. She’d been up early to get the kettle heated for Ted, as she had every morning since they'd begun their journey. Patrick returned moments later with a puzzled look on his face. “One of our horses is missing,” he announced. Cora glanced at her brother. Her heart thumped against her ribs. What if Ted had taken their other saddle horse as well? She wouldn’t put it past him. Cora breathed a sigh of relief. Ted had taken what little money he’d brought to the marriage, and had even been bold enough to ask her for some of her funds. Luckily, he’d never found her hiding place where she kept her family’s life savings. It was all they had now, and would have to see them through to their new start in Oregon. He couldn’t have taken any of their provisions from the wagon. Josie and Caroline slept in there. She made a mental note that, before packing up for the journey tomorrow, she would check for any missing items, just to be sure. And, it was high time she practiced shooting her rifle. Cora met Anna’s curious stare before smiling at her brother. No doubt she was full of questions about her meeting with Mr. Brown, but she kept her thoughts to herself for now. She’d have to tell her siblings the truth, that they were now on their own, but in a way that wouldn’t frighten them. Anna served up biscuits and bacon when Josie and Caroline returned to camp. They all gathered around the fire, using various trunks or an overturned pail to sit on. “Did Ted already eat?” Josie asked. She glanced from one person to the next. At sixteen, she was the youngest of the girls, and had the most reasons to be mistrustful of men. Cora glanced at her sister and her chest tightened painfully. Growing up, Josie had never failed to see the good in everything, but that had been before . . .
Cora swallowed her biscuit and washed it down with the last of her coffee. What had happened to Josie was one of the reasons they were leaving their old life behind. She looked at Josie, then at Caroline, before settling her eyes on Anna. She inhaled a deep breath. Good thing they’d had a few days to relax as they camped by the fort. Things were going to get a lot harder from now on. Cora frowned at her friend for forcing the subject she had been putting off. She was right, though. There was no sense delaying what she had to tell her siblings. “I have some bad news,” she started. All eyes were instantly on her. “Ted decided he no longer wanted us as his family, so he rode off early this morning to head for California.” She raised her hand at the collective gasp from her sisters. Patrick’s eyes widened. The girls murmured and Anna stepped up to her. “Mr. Brown is letting us continue with the train?” she whispered. Cora glanced at Josie, whose eyes glistened with tears. Her chest tightened. With a determined lift of her chin, her gaze returned to Anna. Droplets of frigid water from the mountain stream splashed his face every time his feet hit the ground. Nathaniel Wilder didn’t stop to enjoy the refreshing reprieve. Rays of the early afternoon sun beat hot against his back, making the sweat trickle uncomfortably along his skin. He ran through the water, sending up more spray. The water only came up to his ankles, but the rocky bottom slowed him down considerably. He glanced over his shoulder while continuing his course through the stream. This was his best chance to lose his pursuers. Other than the loud splashes he created, all was quiet behind him. No galloping horses or shrill war whoops followed him. Nathaniel grinned and lengthened his strides. It would be a cold day in hell before a band of Crow was going to get the better of him, even if he was on foot and without his rifle. He squinted against the bright shimmers of the sun as it reflected off the water in front of him. He kept to the middle of the creek, following its course downstream until it forked, the two channels creating an island as the water flowed around a rocky embankment. Several dead trees had washed up on the berm, remnants from the spring snowmelt when the water flowed stronger and deeper. Nathaniel stopped to catch his breath. After a quick glance in both directions of the fork, he stumbled for the bank to his right. He kicked a rock loose from its resting place in the dirt and touched the heel of his moccasin into the damp earth. Wheeling around in the water, he changed direction to continue downstream, following the fork to the left. His false tracks might fool his pursuers long enough to put greater distance between him and them. While he didn’t relish being hunted like some animal, his heart beat faster with the thrill of the chase. Outwitting an opponent was a favorite game among his brothers and their friends, and this pursuit certainly broke up the monotony of his journey so far. He scrambled from the water under some willow branches hanging over the edge, taking care not to bend any of the twigs. Following the creek close to shore, he entered the water again another mile downstream, crossed, and finally headed toward the dense woods ahead. With any luck, the Crow would search in the wrong direction long enough for him to get away. His lungs burned by the time he slowed his pace. Sweat ran down his face and he swiped a hasty hand over his eyes. He stood, staring off into the distance, and listened. Other than the soft breeze swishing through the canopies of the trees and various birds chirping overhead among the branches, all was quiet. Six Crow on horseback would make at least some noise, unless they had abandoned their horses to pursue him on foot, which was highly unlikely. They knew he was without a rifle, and would feel fairly confident in their pursuit. Hopefully, it would work to his advantage. Nathaniel’s grin returned. All he had to do now was backtrack and find his horse and pack animal, then he could be on his way home. If his brothers or old Harley ever found out that he’d been careless enough to let a band of Crow steal his animals, he’d never hear the end of it. He’d already stolen his horses back from the Crow once after a careless night camping out in the open. He’d foolishly mocked the Indians for his success, and they'd taken after him again. If it hadn't been for his saddle horse stumbling and tossing him to the ground, he wouldn’t be in this predicament right now. Returning home from Fort Hall with wounded pride was one thing, but he couldn’t come back without the provisions for which he’d traded. An entire season of hunting and trapping was not going to go to waste. Nathaniel pushed away from the tree he rested against, and set out for the sunny clearing ahead. If he traveled a few miles west of the creek, then headed east again, maybe he’d find his horses before the Crow did. He cursed his dumb luck for the hundredth time. His older brother, Ethan, would love nothing better than to call him irresponsible and reckless if he returned without their winter supplies. His younger brothers, Trevor and Travis would gloat while silently wishing they could have been with him to give the Crow a good run for their money. Old man Harley would take him aside and tell him that a man always learned the most valuable lessons the hard way. Nathaniel picked up the pace. He wasn’t irresponsible like his brother seemed to think. Reckless perhaps, but it had always gotten him out of harried situations before. Unlike Ethan, he wasn’t averse to taking chances when necessary. It wouldn’t be any different this time. If he didn’t find his horses, no doubt the Crow would, and then he’d simply have to steal them back a second time. The sun was slowly creeping toward the western horizon by the time he changed course and made his way further east. He’d climbed the rise of a gently sloping hill blooming with yellow flowers when he stopped and sniffed the air. The scent of wood smoke was unmistakable. Nathaniel slowly scanned the valley below. Had the Crow made camp somewhere? He shook his head at the unlikely notion. Stands of spruce and cottonwoods obscured his vision, but there was a definite thin wisp of smoke rising from beyond the trees. Who’d made a campfire in the middle of the day? Other than Crow, and perhaps some Shoshone, there weren’t any other Indians in this area. He hurried down the slope into the valley and cut through the tall grasses at a fast run. Losing his pursuers should be his main focus, but he couldn’t leave without finding out if there were other dangers nearby. By the time he reached the woods, the smell of smoke grew stronger, and faint women’s laughter reached his ears. A Crow or Shoshone woman would never make this much noise unless she were secure in a large camp. Nathaniel frowned. He moved quietly through the trees until the light-colored canvas of a wagon cover stood out against the landscape. He stepped lightly through the underbrush, keeping to the trees so he wouldn’t be seen. He tilted his head to the side to listen for any surprise movement, while his eyes scanned the small clearing. One hand remained close to his hip, near the hilt of the knife strapped to his belt. At least he wasn’t completely without a weapon. Clearly, there were no other wagons, and the one that was stopped here had a broken wheel. What was a lone emigrant wagon doing in this area? The last wagon train he’d seen roll through had pulled into Fort Hall nearly a week ago as he was leaving the outpost. The sound of women’s laughter and talking grew louder. The small figure of a young boy darted between a group of four mules that were picketed between two trees. Nathaniel’s eyes fell to the lone horse tethered a short distance away from the mules. He glanced over his shoulders. If those Crow were anywhere near here, they’d smell the smoke, too. Nathaniel studied the camp, his eyes taking in everything. It appeared as if these people had been camped here for at least a night. Trunks had been unloaded from the wagon, and several dresses and women’s unmentionables fluttered in the breeze from a line strung between a couple of saplings. The fire was beyond his line of sight on the other side of the wagon. Two women were talking, but he was too far away to make out what they were saying. He glanced at the saddle horse again. Were there others? There were no men in camp, that much was certain. Perhaps he - or they - had left the camp to go hunting. Regardless of where the men of this camp were, it didn’t matter. Nathaniel was wasting time. His Crow pursuers could be close. He moved through the trees and entered the clearing, making a wide arc around the wagon so that he’d be seen. The young boy spotted him first. “Hey, mister,” he yelled. Nathaniel faced him and smiled. The women’s chatter quieted instantly, and someone even gasped. Nathaniel suppressed his own surprised reaction when he strode toward the camp, spotting four women sitting around the fire. He blinked, then frowned. Who in their right mind had left these women unattended in the middle of nowhere? Before he could contemplate his question, two of the women, who looked to be just girls, darted for the wagon and disappeared inside. A third stood, staring at him from her place by the fire, while the fourth jumped up and moved quickly toward him, pointing a rifle at his chest. Nathaniel stopped and slowly lifted his hands away from his sides. “I ain’t armed,” he called. “And I don’t mean any harm.” He plastered his best smile on his face. The woman holding the rifle straightened and raised her chin. Her gaze didn’t waver from his. “That’s close enough,” she warned and raised her weapon. Nathaniel stopped. His jaw muscles twitched. That female might just be crazy enough to take a shot at him. He rubbed at the back of his neck while his gaze darted to the horse tied to the tree. He cocked his head to the side to listen for any sign of his pursuers. He eyed the woman again. She stood tall and proud, glaring at him suspiciously. The slight trembling of the rifle in her hands gave away her fear. Damn, she was pretty, even from a distance of twenty paces. She would no doubt be even prettier if she didn’t look like she was thinking of putting a bullet into him. Where were the menfolk? “Looks like you ladies could use some help.” Nathaniel pointed at the broken wagon wheel. “We’ve got it handled,” the pretty woman retorted, her voice firm and as cold as her eyes. Nathaniel took a slow step closer, his eyes locked on the girl. She instantly stiffened and adjusted the rifle to point toward his head. “What’s a man doing out here without a horse?” Her question was laced with mistrust. “What are a bunch of women doing out here without men?” Nathaniel countered. Her reaction was instant. The distinct sound of the rifle’s hammer being cocked resonated in his ears. He’d obviously asked the wrong question. “Go and be on your way, mister,” the woman called out. Her eyes blazed daggers at him, as if the rifle she had pointing at his head wasn’t enough. Her hair fluttered in the breeze. Strands had come loose from the single braid that hung down her back. The rest of it was concealed under a scarf she’d tied around her head. All it did was frame her pretty face. Nathaniel cursed silently. He was wasting time if he didn’t want that band of Crow to come swooping into this camp. The woman and her rifle would be useless against a half dozen warriors. Nathaniel’s brows rose. He leaned forward slightly, as if he hadn’t heard correctly. “Fort Bridger?” he repeated, then frowned. “Where’d you come from?” Telling her that she was lost was probably not the smart thing to say. “I said we can manage just fine on our own.” The slight hitch in her voice was unmistakable. He’d eat one of his moccasins if he wasn't correct in the assumption that these women and the boy were out here alone, defenseless. Something close to anger brewed under his skin. Memories he’d buried long ago pushed to the surface. Her eyes widened and a fleeting moment of panic flashed across her face. The other woman who’d stood silently by the fire stepped up to the one with the rifle. She leaned forward and whispered something. The girl pointing the gun at him shook her head. “We can’t trust a complete stranger,” she said, loud enough for Nathaniel to hear. “He’s offered to help, Cora. And he seems to know where we are,” the other one said adamantly. Nathaniel flashed a smile when she stared in his direction. “Why can’t he stay and help?” the boy chimed in, appearing from around the other side of the wagon. Nathaniel nodded in silent agreement, although staying in this camp was the last thing on his mind at the moment. “Looks to me like you could use my help,” he offered again. “He doesn’t even have a gun, Cora. We need help fixing the wagon.” The more sensible woman placed her hand on top of the rifle, and smiled at her companion. Cora’s lips tightened in disapproval. Slowly, she lowered her weapon, then eased her finger off the hammer. “Fine, you can stay and help fix the wagon in exchange for a meal,” she conceded. “But you can’t go with us, and I’ll be keeping an eye on you.” Judging from the suspicious look on her face, she’d made her offer begrudgingly. He lowered his hands and strode toward the wagon. He chuckled softly. Damned if he hadn’t escaped a snake pit just to fall into a hornet’s nest. The woman standing next to Cora came up to him. She squared her shoulders and held out her hand. “Anna Porter,” she said with a hesitant smile, her eyes shooting to the woman with the rifle. Cora simply glared at him suspiciously. Nathaniel grinned and shook Anna Porter’s hand, then stuck his hand out to the hostile one. Cora whatever-her-last-name was didn’t shake his hand, but turned away from him and moved toward the wagon, pushing the young boy in front of her. “Is she always this friendly?” Nathaniel stared after her. Nathaniel studied Anna Porter. Her features were soft and delicate, matching her quiet demeanor. She clutched at the scarf covering her own head and pushed some strands of her dark hair out of her face. “Where are your men?” Nathaniel couldn’t hold back the question. Anna’s lips tightened. She seemed to hesitate with an answer. Nathaniel held her stare in silence, meeting the challenge in her eyes. He’d much rather tell her what a foolhardy woman she was for thinking she could get through this wilderness on her own. Hell, they were already lost, and would have gotten even more lost, had he not come along. He glanced over his shoulder toward the trees. He was running out of time. The Crow were not going to simply give up when they realized he had tricked them. He eyed the horse again. “I’ll go take a look at that broken wheel,” he said. With a quick nod to Anna Porter, he moved to the wagon. Nathaniel passed Cora, and offered her his best smile. She didn’t return it. Her face remained as icy as before. Once she lowered her weapon fully and turned her attention to the other woman, he knelt to inspect the broken wheel. It would take at least a few hours to fix. Time he didn’t have at the moment. What if he’d led his pursuers straight to this camp? If the Crow had found his trail, these women were defenseless. He glanced toward Cora. That woman seemed too disagreeable for a sensible conversation. Better to act now and explain later. He straightened and moved around the wagon to the horse. Giving the animal a pat on the neck, he glanced over his shoulder, then slowly untied the reins from the tree. He eyed the women again and shook his head. They were foolish if they thought they’d get to Fort Hall alive. 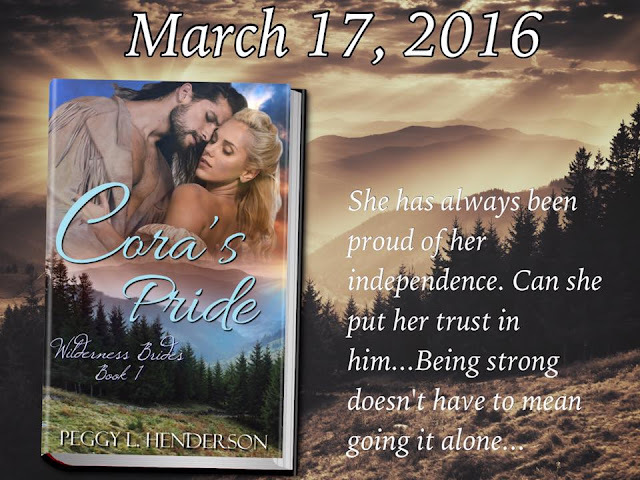 Anna busied herself with the fire, while Cora spoke to the two girls inside the wagon. No one paid him any mind when he swung up onto the horse’s bare back and kicked it into a run. With any luck, he’d put some distance between himself and that wagon before the Crow found his trail. The boy yelled at the same moment a shot reverberated through the air. Nathaniel cursed and kicked the horse into a faster run, steering it into the trees. Damn stupid fool of a woman! A gunshot could be heard for miles. At least she wasn’t a very good shot. He urged the horse forward. Hopefully her next shot wouldn’t find its mark, either. It never came. Her yell grew faint as he put some distance between the wagon and himself. Backtracking the way he’d come, there was no sign of his Crow pursuers. If they had given up the chase, they must have found his horses and supplies. Perhaps they didn’t think he was worth pursuing anymore. By the time he came to the creek where he’d laid the false trail, it became apparent that the warriors had followed it. Thankfully, it would have led them in the opposite direction from where the women were camped. Nathaniel dismounted and allowed the horse to drink. He stepped into the water and splashed some of the cold liquid on his face. He straightened to stare off at the mountains. Uncertainty gripped him. He had a horse to ride, but his supplies were lost. He shook his head. He couldn’t return home until he found his own horses. Then there was the matter of the women who were lost in the wilderness. He’d succeeded in keeping the Crow away from their camp, but for how long? Nathaniel gathered up the reins and was about to swing onto the horse’s back, when twigs snapped behind him and hooves clacked against the rocky riverbank.